There was a stretch of time when Henry VIII was madly in love with Anne Boleyn, the woman he made his second wife. In the year before the king married Anne, they were together much of the time, and one of their “love nests” is now up for sale for $3 million (£2.5 million). 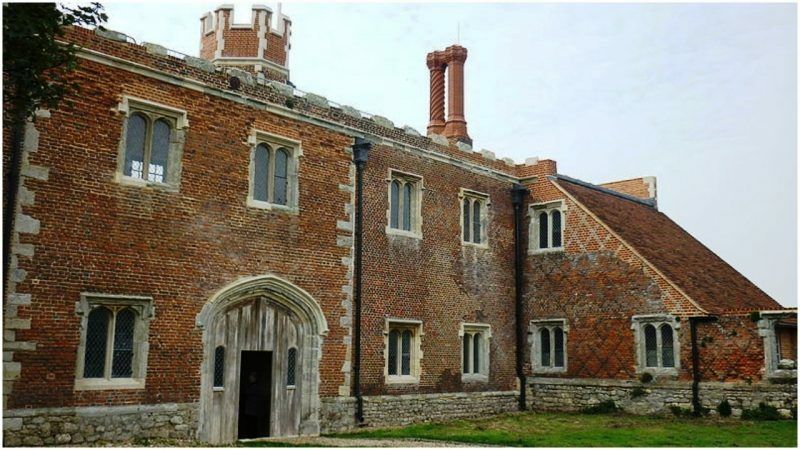 Shurland Hall, a 16th century Grade II listed house, was owned by one of the king’s courtiers, Thomas Cheyne, and he hosted Henry VIII and Anne Boleyn at his home for three days in the autumn of 1532. Afterward, the royal party left for France, where they met with Francis I in Calais. 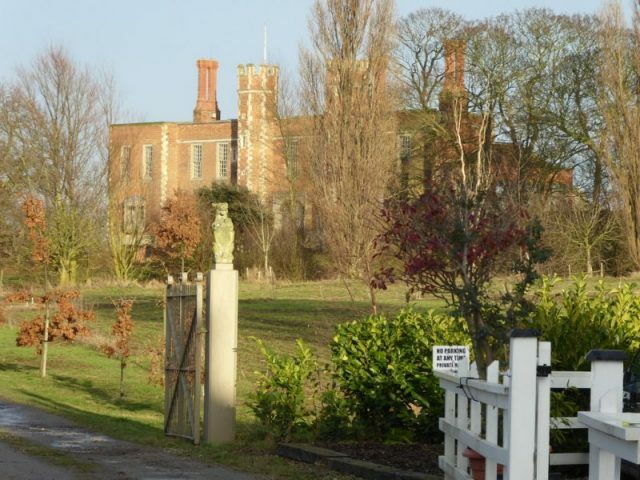 On the Isle of Sheppey in Kent, southeast England, Shurland Hall currently has almost 10,000 square feet of living space and the medieval gatehouse offers three bathrooms, four reception rooms, a converted barn with kitchen, WC, and bar. Its distinctive octagonal towers and battlements resemble the Tudor Palace gatehouse at Hampton Court. The house was built on the site of a 13th century castle owned by the de Shurland family. In fact, Sir Robert de Shurland is featured in the Ingoldsby legend of Grey Dolphin. Long after the Tudors, it was requisitioned during the Second World War. 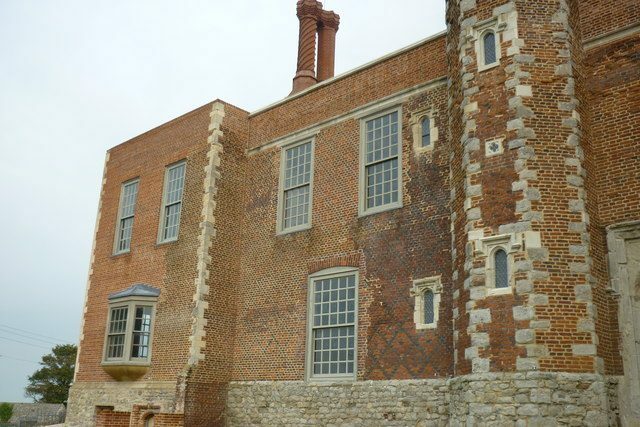 Following that, it fell into ruin, and was only saved by the Spitalfields Trust in 2006 with a grant from English Heritage and a loan from the Architectural Heritage Fund, according to Kent Online. While the house is being billed as a place where Henry VIII “courted” Anne Boleyn, the courting was well established by the autumn of 1532, with the two of them most likely secretly engaged. When Henry VIII began his famous pursuit of Anne Boleyn is unknown, but historians’ best estimate is 1526. Henry VIII had been married to Catherine of Aragon, a Spanish princess previously married to his older brother Arthur, since 1509. 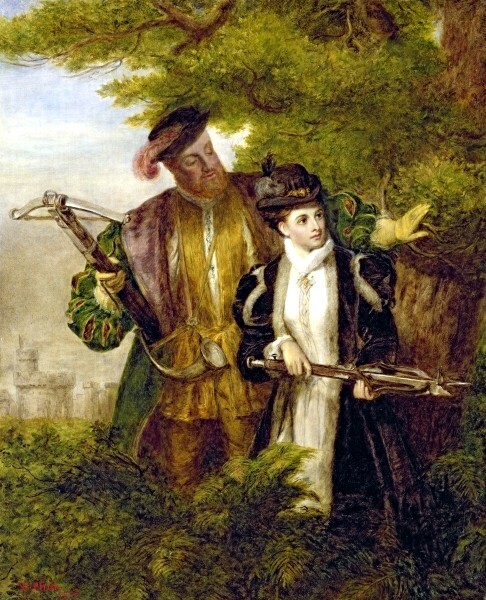 An early-20th century painting of Anne Boleyn, depicting her deer hunting with the king. In 1527 King Henry told Catherine, his wife of many years, that he wanted an annulment. She refused to cooperate in any way, and her nephew, Charles V, the Holy Roman Emperor, supported her in her efforts to retain her rights as queen. 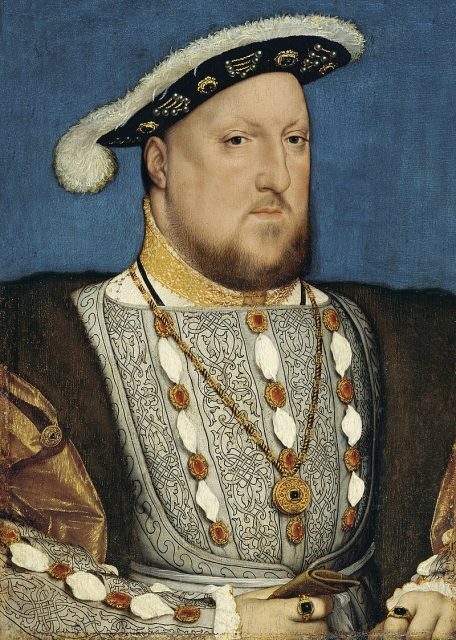 The pope, under pressure from Charles V, would not grant Henry VIII his annulment, leading him to break with the Catholic Church. By 1532, Henry was moving toward making himself head of the Church of England, which Anne Boleyn, a religious reformer, supported. 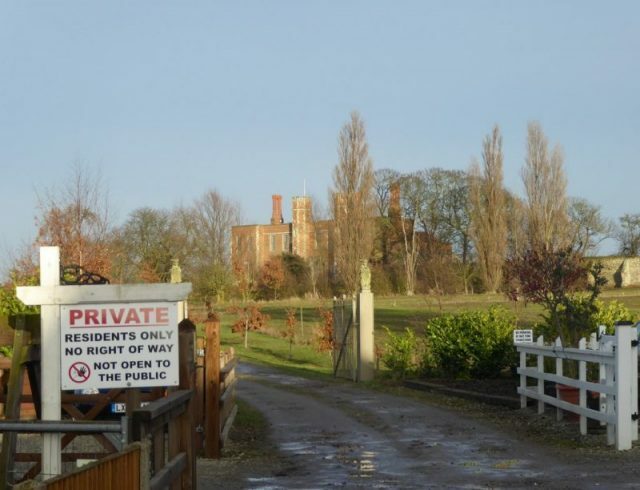 The driveway to Shurland Hall. Anne is supposed to have refused to sleep with the king until they were married, but it’s believed that they began to share a bed during the trip to Calais. It is even possible that the couple were intimate at Shurland Hall. They were definitely besotted. They married in secret in early 1532 and the future Elizabeth I was born on September 7, 1533. 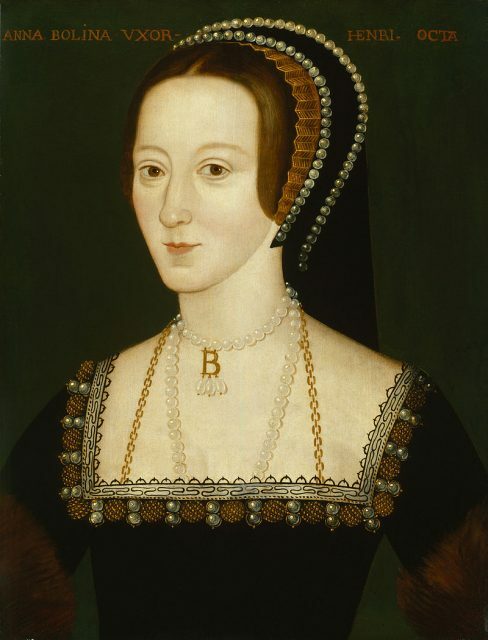 Less than three years later, Anne Boleyn was dead, executed for treason and adultery. Thomas Cheyne began his service to the royals with Henry VII and amazingly he served every Tudor monarch. He was knighted in 1513 and was a favorite of Anne Boleyn, who fought Cardinal Wolsey for his promotion in 1528 and 1529. He died in 1559, just at the beginning of the reign of Anne’s daughter, Elizabeth. Cheyne served as an ambassador to France three times between 1549 and 1553. According to On the Tudor Trail, Cheyne was almost bankrupted by the cost of Henry and Anne’s visit in 1532. A visit from the king was a great honor but it also meant a visit from the 300 or so people in the king’s retinue.